The past 100 years of Korean history is fraught with tragedy. From occupations by neighbouring Japan and the resulting atrocities, through to several coups, the Park Chung-hee dictatorship, and the hard-fought struggle for democracy, the people of Korea have endured generations of adversity in a staggeringly short period. 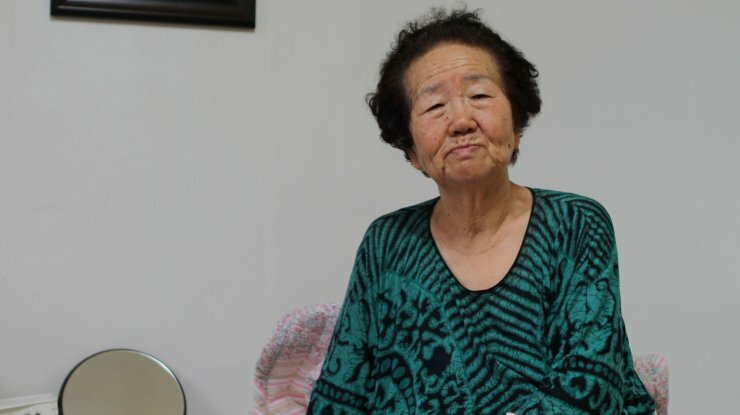 With documentary feature Mother (어머니), director Tae Jun-seek (태준식) follows the final two years in the life of Lee So-seon (이소선), also known as ‘the Mother of Workers’. 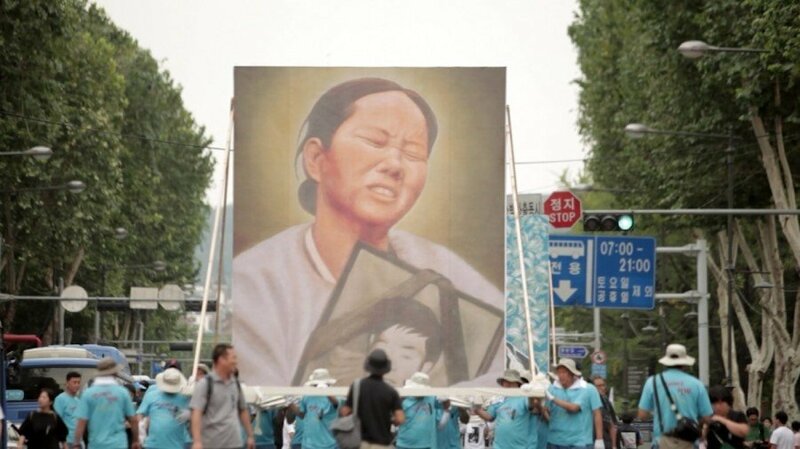 The mother of the iconic human rights campaigner Jeon Tae-il (전태일), Le So-seon has worked tirelessly since his death in 1970 protesting for workers rights and equality. Yet with this documentary, director Tae sidesteps the past of his central figure and instead focuses on her present and the legacy that she created. As such, Mother is a very sweet and charming exploration into elderly Lee So-seon’s final years, yet the absence of information about her past achievements – which the audience are presumed to already be aware of – highly detracts from the impact of witnessing such a powerful historical figure live out her final years. Mother is a lovely and fitting tribute to Lee So-seon, with director Tae capturing her dignity and strength of character effortlessly. Her good humour positively radiates as she cracks jokes and mocks those around her with a playfulness that belies her years. Similarly Lee So-seon’s ideology of equality and humanitarianism shines throughout the film, not only in answering probing questions but just as sincerely through her everyday activities. Her natural charisma draws people close, and the opening sequence of Mother– in which a host of different people help Lee So-seon to traverse up a hill path – perfectly conveys her status as a much loved and respected figure in the community. Director Tae’s style in filming Lee So-seon is gentle and unassuming, allowing for her mannerisms and anecdotes whilst undertaking daily routines to come to the fore, with the realism that this styles exudes subtly but effectively conveying her resilience and indomitable will. Yet director Tae falls into the trap that so many Korean directors suffer from, in that he expects the audience to have full awareness of contemporary Korean history and by extension Lee So-seon’s, and her late son Jeon Tae-il’s, historical relevance and achievements. For those who are fully-reversed in modern Korean history Mother contains genuine poignancy in watching such a strong figure live out her final years with dignity, but for those ignorant – primarily young Korean and foreign audiences – the emotional impact of the documentary is lessened to a great degree. Director Tae clearly wishes to focus on this particular period of Lee So-seon’s life and the respect and tributes that are paid in her honour, yet without the prerequisite knowledge of her life it is left to the audience to guess, through piecing together the clues throughout the documentary, why she has earned them. The play of Lee So-seon’s life emphasizes this trend, as a Taiwanese director travels to Korea to help orchestrate the production, and it is only through watching the performance that the audience comes to understand some of the tragedy she had to endure. However director Tae does seem to be aware of this issue. While most of the running time is spent documenting Lee So-seon’s last movements with a scattering of hints alluding to her historical prominence, her death is the catalyst for an expansion on her achievements. The overwhelming tributes that occur and the marches that take place in her honour are simply incredible, and are edited with black and white scenes of Lee So-seon at demonstrations and rallies in support of workers rights. Such scenes are particularly effective in conveying her motivations and role in contemporary Korean history. While moving, such scenes are nevertheless too little too late as they provide context only after the final moments of her life. Indeed, had such context been present at the start of the documentary – and running throughout it – Lee So-seon’s remaining years would have conveyed much greater poignancy. Yet as it stands, Mother is – for the uninitiated at least – a sweetnatured documentary about a charming, kind, and strong-willed lady who meets her end with dignity. Mother is a loving and gentle tribute documenting the final years of Lee So-seon, a human rights campaigner who has worked tirelessly since the death of her son Jeon Tae-il in 1970. Director Tae Jun-seek captures her spirit in a highly reverential manner, with his gentle style allowing her charisma to shine through. Yet he also expects the audience to be fully aware of Lee So-son’s history and achievements and as such doesn’t provide context, meaning for the uninitiated that the film loses an enormous amount of poignancy.